Systemedic’s team of medical billing experts has clocked more than 45 years in the field. We decipher all types of medical bills: from disputing and appealing medical claims with insurers to negotiating cost reductions with medical providers and facilities across the country, our skillful experts are persistent at stripping away the uncertainties of the medical billing system. 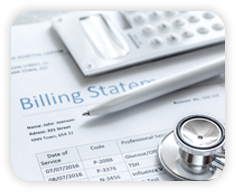 By focusing on coding details and other billing practices, we work to uncover billing errors and overcharges that reduce costs for our customers. Our goal…to save you time, money, and lots of stress. $18,000 for a call to 911??? read the full story as reported by Kaiser Health News and VOX. 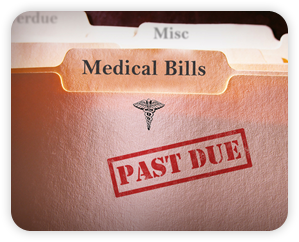 Medical bills can be confusing and intimidating… but not to us. uncover errors and overcharges that translate into savings for you. you pay are CORRECT and that you AREN’T OVERPAYING. Do you feel more confident with a knowledgeable resource at your side? For individuals and businesses that require more than one-time assistance, we offer on-going support and management of out-patient medical expenses. As your Medical Bill Concierge, our focus is on EDUCATION, AUDITING, AND ADVOCACY, to help reduce your exposure to outrageous out-patient medical expenses: unexpected doctor and lab bills, rising prescription drug prices, and unintelligible ER bills. We empower you to maximize your healthcare benefits and minimize unintended and unexpected medical expenses. Rob dug into my issue and did a detailed analysis and provided excellent guidance on how to address the billing issues. There are not many people in life that are this honest and helpful and take the time to explain the details. Thank you Rob for your great integrity. The world needs more people like you! Had a great experience with Systemedic. I worked with multiple lawyers on different cases during the past four years but Systemedic showed me another level of support and responsiveness. I had a challenge on a medical bill with a very stubborn medical lab that Robert B. resolved very fast and effectively, which resulted in more than 50% savings. He was precise, professional, knowledgeable, and supportive. I highly recommend Systemedic as your advocate. His professionalism and the way he treated me was a pure pleasure. Excellent service company. Helped me resolve my medical billing issues and saved me time and money. Well worth the investment. I worked with Sue N. and she was awesome - professional, persistent and effective. I would definitely use this firm again. Had a fantastic experience with Systemedic. They took control of the situation and were able to navigate between the hospital and insurance until we found a resolution. In the end, we got a 50% refund on our bill. This was even more impressive considering we had already paid the bill and they were able to get the hospital to agree to a refund after-the-fact. Would highly recommend them to anyone trying to untangle confusing and unwarranted medical bills. You have been incredibly helpful and we are totally thrilled with your work. Sue I cannot begin to tell you how VERY much we appreciate what you have achieved! Simply stated, you moved a mountain! A HUGE weight has been lifted from our shoulders and this was all thanks to yourself! Sue Null at Systemedic helped me navigate an extremely frustrating claim dispute with my insurance company, which tried to deny a $12k claim for an emergency room visit. After many fruitless phone calls to the insurance company and attempts to gather documents for an appeal, it just took one call with Sue on the line for the insurance company to suddenly discover they processed my claim wrong. Turns out instead of $12k, I owe nothing. I owe those savings to Systemedic for sure! Highly recommended! mind. Thank you for your patience with me, and I feel much better. Do you have a copy of the bill you can send to us? Do you have a copy of the Explanation of Benefits associated with the bill? Have you received a notice from a collection agency? to question or how to negotiate savings. pay a penny more than you should.